In athletics, overuse injuries are nothing new, particularly in the upper extremities. 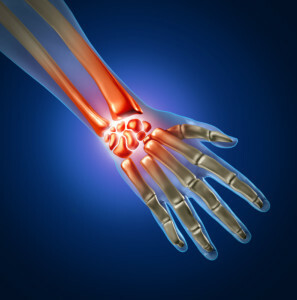 The joints and muscles of the hand and wrist are subjected to frequent impact and stress. Unfortunately, the human elbow and wrist are not built to sustain unlimited repetitive use. In addition, with aging the human body simply does not recover as it used to. With repetitive use during athletics or employment, injuries occur because of this limited healing ability. Wrist impingement syndromes are common in all sports and work activities where repetitive dorsiflexion of the wrist occurs during axial loading. Athletes that are very prone to wrist injuries are gymnasts, with routines consistently involving the wrist bearing body weight or just being moved in repetitive fashion. Employment activities with potential for injury include border patrol, FBI, postal workers and more. The pain from a wrist overuse injury can be associated with dorsal wrist capsulitis, dorsiflexion impaction syndrome, and distal radius stress reaction or fractures. Also, under similar conditions, ulnar impaction syndrome and damage to the triangular fibrocartilage complex can also occur. The triangular fibrocartilage complex is an important part of the wrist that serves to help absorb load and support the wrist joints. It also permits the rotation of the forearm by connecting the distal radius and ulna. Severe trauma to this complex will impair an athletes or worker’s ability to perform hand movements whether sideways or pronation and supination of the wrist. Loss of grip and instability in addition to pain, swelling and crepitations can also be experienced by the injured patient. This can be managed by splint application, avoiding weight-bearing on the affected side and NSAIDs for pain. Injections for reducing inflammation and pain along with ultrasound treatment may be beneficial. De quervain’s syndrome results from an overuse of the hand and the wrist. It is a tensynovitis of the abductor policis longus and the extensor policies brevis that occurs in activities requiring forceful grasp, coupled with radial and ulnar deviation, as well as repetitive use of the thumb. The treatment of this condition is initially rest, immobilization and NSAIDs . Physical therapy modalities such as ultrasound and electrical stimulation can be also helpful. If not, steroid injections can be performed. The extensor carpi ulnaris is the second most common site of tensynovitis in the upper limb. 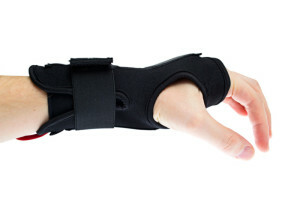 As with other injuries, it presents with pain and swelling along the dorsal ulnar aspect of the wrist. This injury is sustained when there is twisting and ulnar deviation of the wrist in a frequent manner which is common in tennis players. Initial management includes NSAIDs and splinting. Rehabilitation concepts that are important in the management of overuse injuries of the wrist and hand include reduction of swelling, protection and splinting of the injured part in the acute phase, maintenance of ROM of the uninvolved joints, and recovery of strength prior to returning activity. When a worker is experiencing hand and/or wrist pain due to an overuse injury, it is important to identify the source of the problem. An experienced worker’s compensation doctor in Arizona can assist with conservative treatment to avoid surgery and get a person back to work. Whether a brace is the only thing necessary, or combined with a steroid injection, these injuries can be tricky to get the pain resolved. At times an MRI arthrogram may be necessary to visualize the TFC tear or other abnormality, there could also be a stress fracture. If you have sustained hand or wrist pain on the job in Arizona or would like a second opinion, let AIMA help you. Dr. Demitri Adarmes is a Board Certified Phoenix Workers Comp Doctor, who also treats federal injured workers as well. The office excels not only in clinical care, but administrative paperwork too!